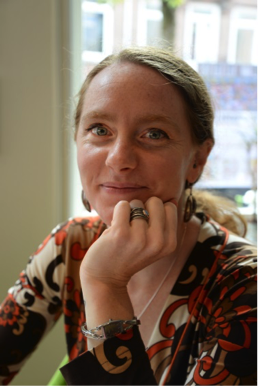 It’s our great pleasure today to welcome Dr. Cassandra Steer as an IntLawGrrls contributor. Cassandra joined McGill University’s Institute of Air and Space Law (IASL) this year as the Executive Director of the Centre for Research in Air and Space Law, and as an Erin CJ Arsenault Postdoctorate Fellow. Her main interest is the application of international law to military uses of outer space. Prior to coming to Canada, Cassandra was a lecturer the University of Amsterdam in the Netherlands for the past 8 years, teaching (Dutch) criminal law, international criminal law, public international law, the law of armed conflict, legal theory and legal research methods. Her legal education began in 1996 in Australia, her country of birth, where she also completed a Bachelor of Arts (Philosophy) at the University of New South Wales (2002), and she went on to complete a degree in Dutch Law (2004) and a degree in International Law (2005) at the University of Amsterdam. Cassandra has interned at the International Criminal Court under Judge Navi Pillay in 2004, and also interned at the Dutch law firm Bohler Koppe Franken Wijngaarden, working on a case on the accountability of the UN for complicity in genocide in Srebrenica. She was also a researcher for the Dutch Counsel of State (Raad van State), before returning to academia. Cassandra’s PhD in International Criminal Law provides the background for her current research in space law. During her research for her PhD she was a Visiting Researcher at various institutes around the world including Georg Georg-August-Universität in Goettingen, Germany; Universidad Di Tella in Buenos Aires, Argentina; McGill University and the University of British Columbia in Canada; and Cornell Law School in the US, where she was also a Fulbright Scholar. Her first post will focus on the historic election of an all-female presidency of the ICC. Heartfelt welcome!